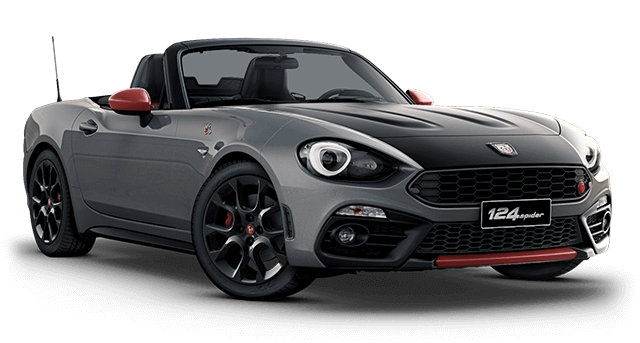 Abarth 124GT debuts on the road, showing off the new and exclusive carbon fibre hard top. A car with improved road behaviour, capable of delivering high performance on the track and on long journeys. Enjoy more moments with rear wheel drive. Customising your car can give you that exceptional feeling. 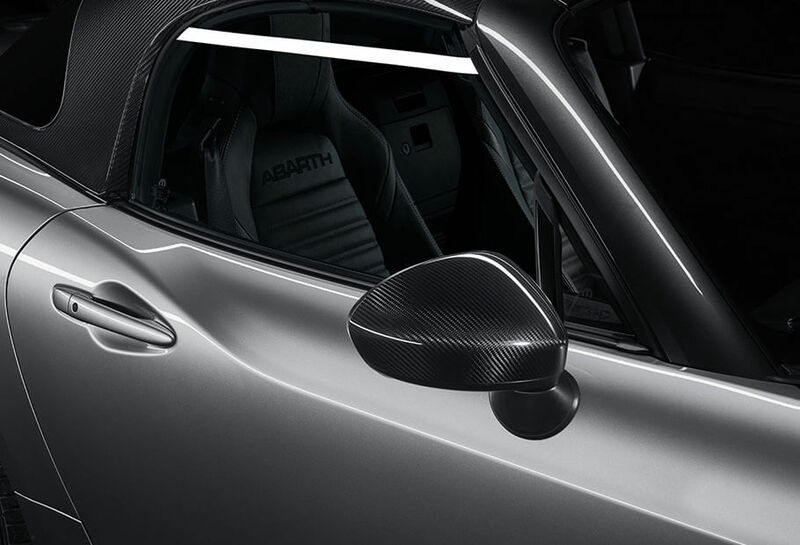 That’s why you can Transform the look of your Abarth 124GT, choosing to add carbon fibre DAM and wing mirror caps. 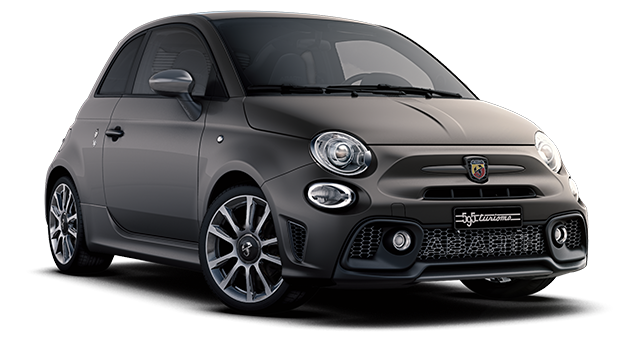 The first 124 spider developed by Abarth was created with the iconic matt black bonnet, which combined characteristic design with anti-glare properties. 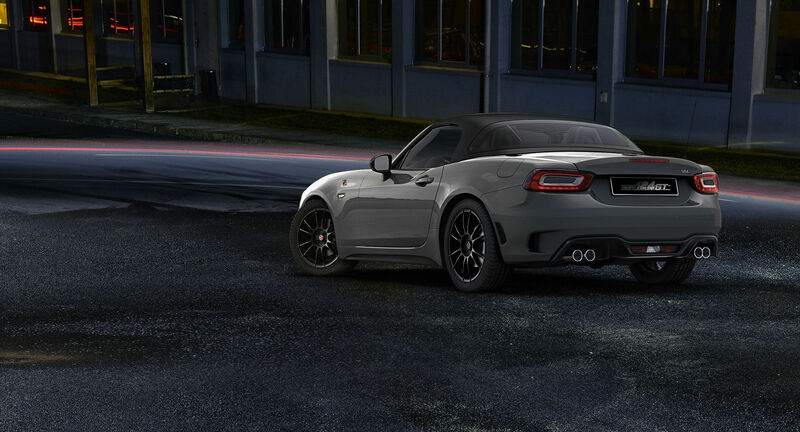 To respect tradition, the same stylistic treatment can be added to the Abarth 124GT. 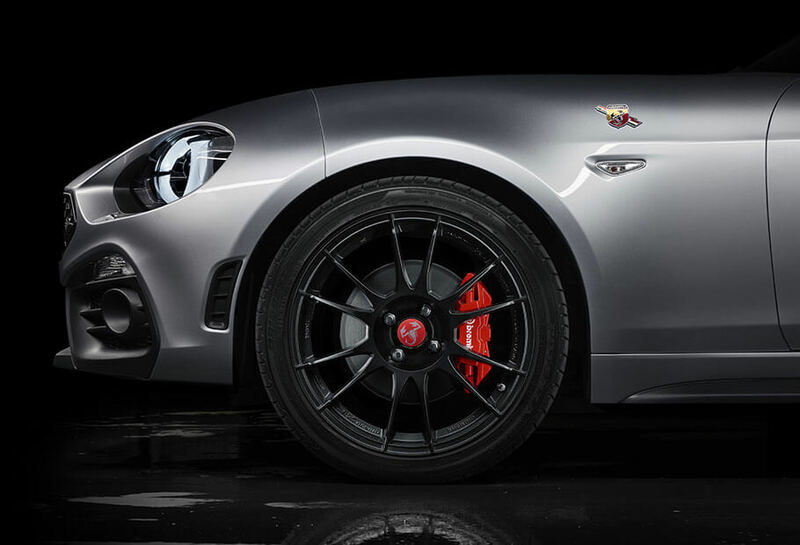 Choose the signature of the Officine Abarth on the spider from the Scorpion. 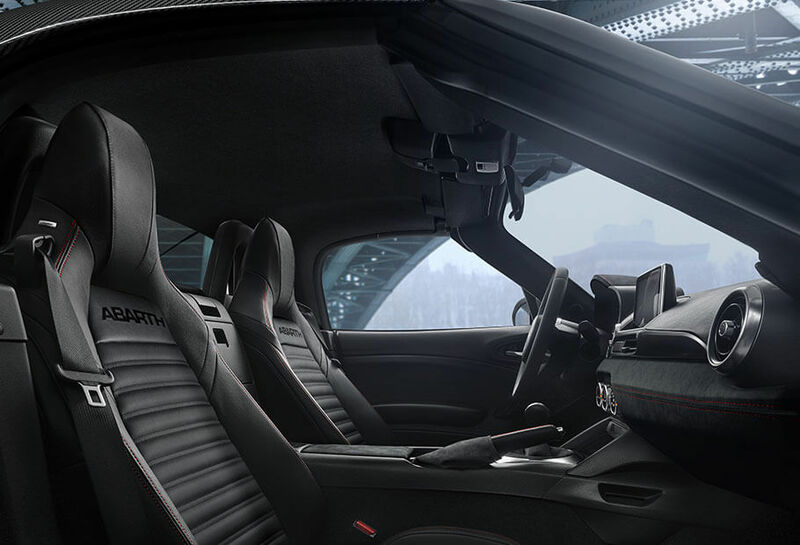 Abarth 124GT naturally combines a depth of performance with comfort over long journeys. 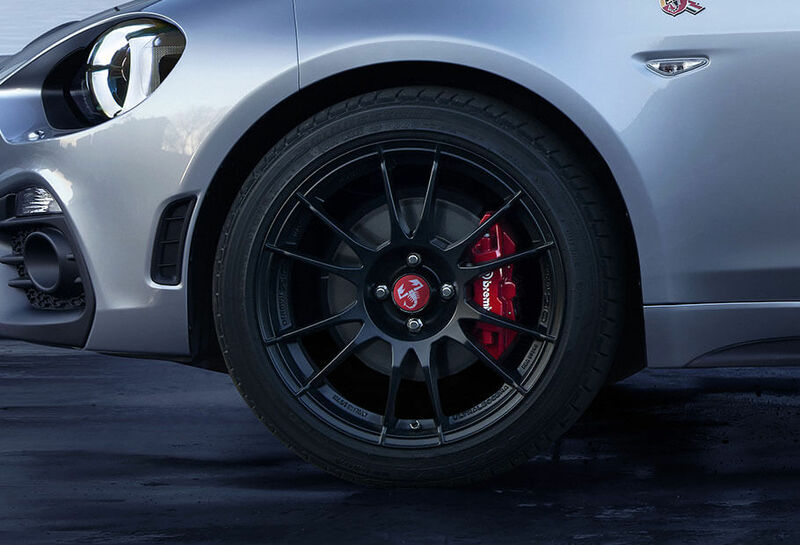 New OZ aluminium Ultralight 17” wheels which reduce weight and improve handling, were chosen, to increase driving pleasure and make you want to stay in the car longer. 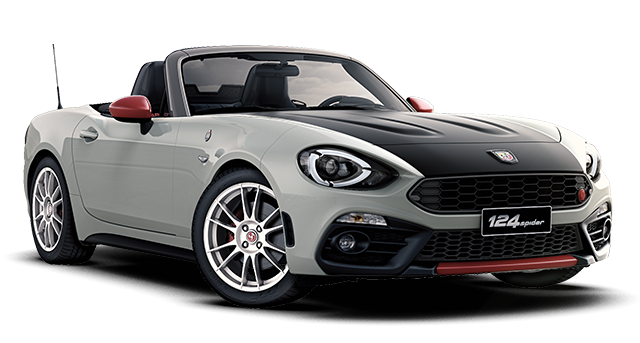 Abarth 124GT delivers excellent road behaviour that can be further improved with the addition of aluminium structural bard, which affect the torsional rigidity of the frame. 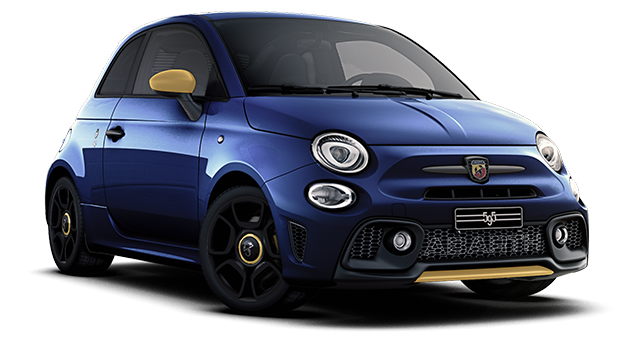 The perfect integration with the suspension and tyres optimises the car’s set-up. The road in front and a hard top over your head. 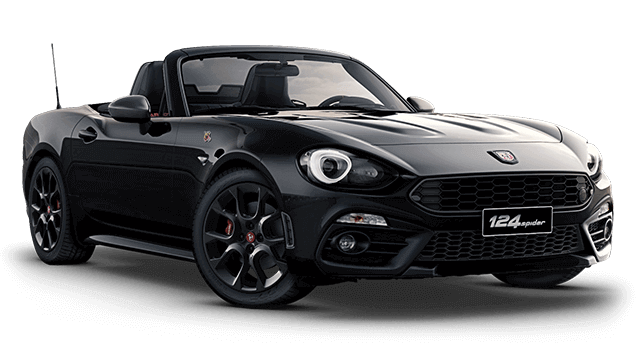 Abarth 124GT is a new version with a removable carbon fibre roof. Exclusive to the segment, the new hard top guarantees greater visibility and is a mark of the new design. Performance is the result of a harmony between driving skill and the synergy of the car’s components. A limited-slip differential increase traction allowing tires to rotate at different speeds. Follow a perfect trajectory. New conquests, same voice. 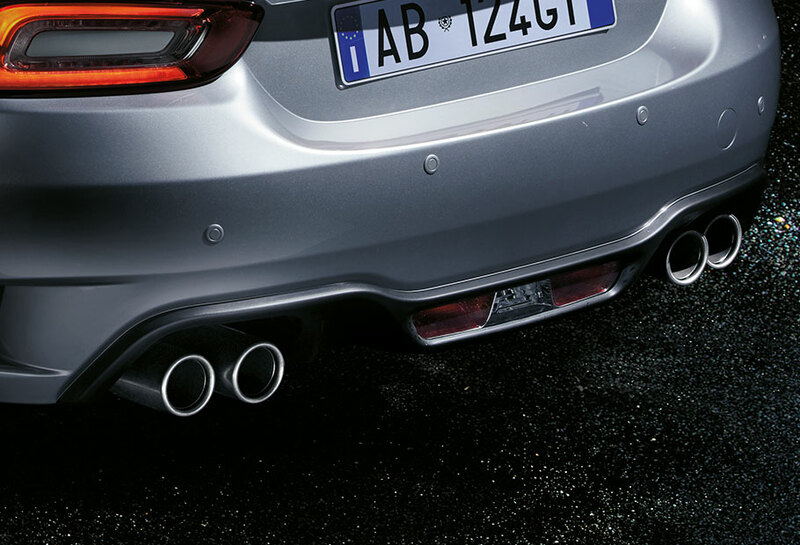 Tackle your next kilometres with the background music of the Record Monza Exhaust. 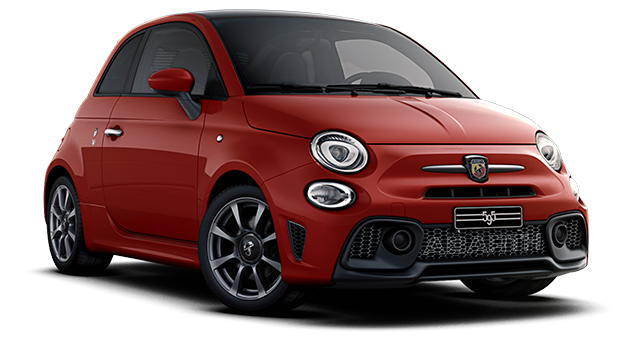 The two-exit dual mode system varies exhaust gas flow according to the engine speed, while the four chrome terminals accentuate your spider’s sporty look. 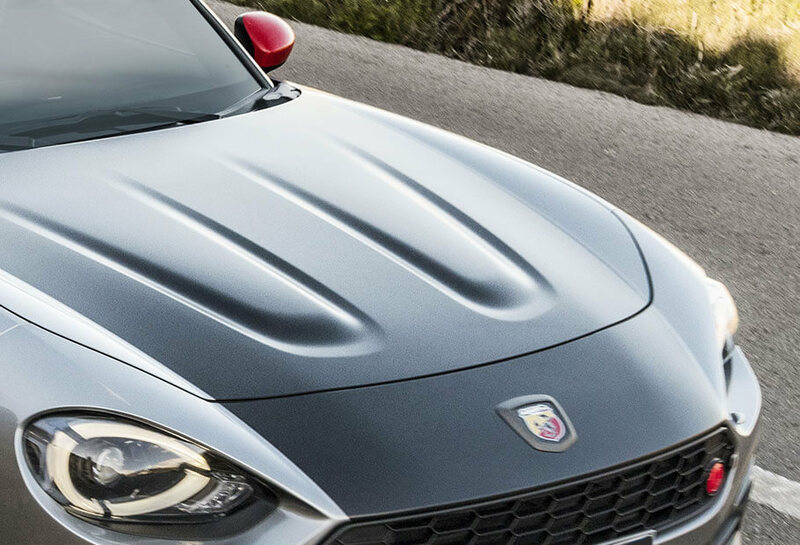 The advanced aerodynamics and excellent road behaviour make the Abarth 124GT a concentration of sportiness and fun. The 50:50 weight distribution is the result of a project which began on paper and was translated into exciting performances. 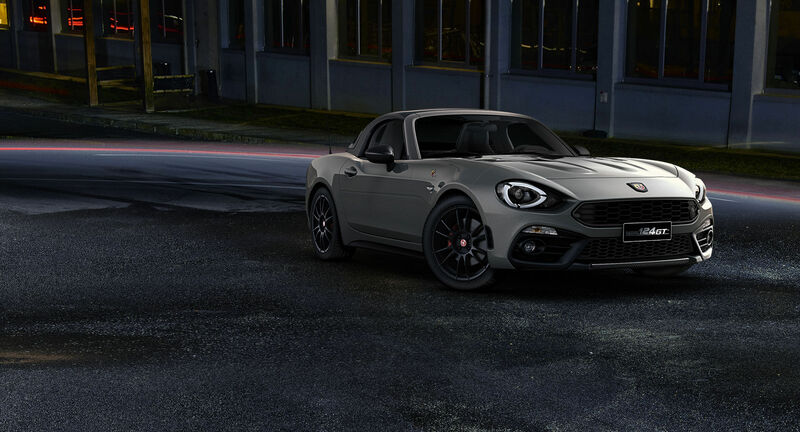 Abarth 124GT improves the standard. 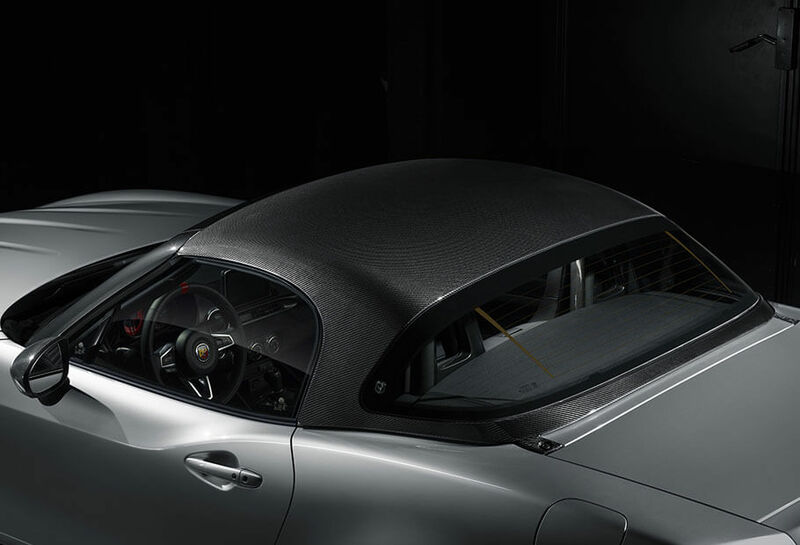 The carbon fibre, glossy and sound proofed hard top is a first in its category. At just 16kg, it doesn’t alter the weight to power ratio or weight distribution. And thanks to the wider glass surface, visibility is increased by 80% compared to the soft top. 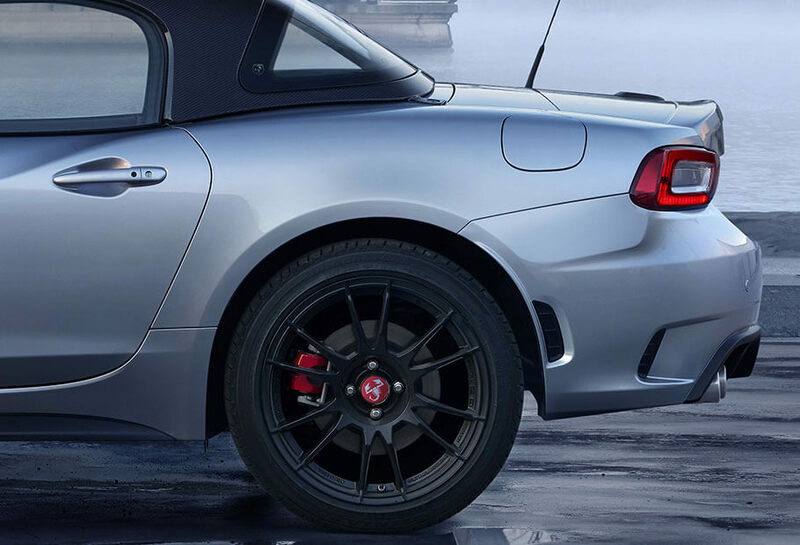 Easy to put on and take off, you can change the look of your roadster in minutes. 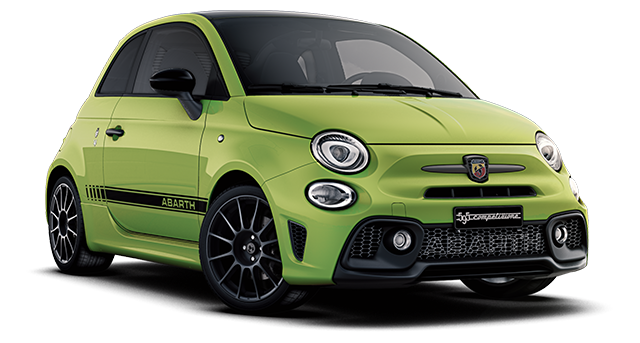 As in the ‘70s, the latest generation Abarth spider has a hard-top version. 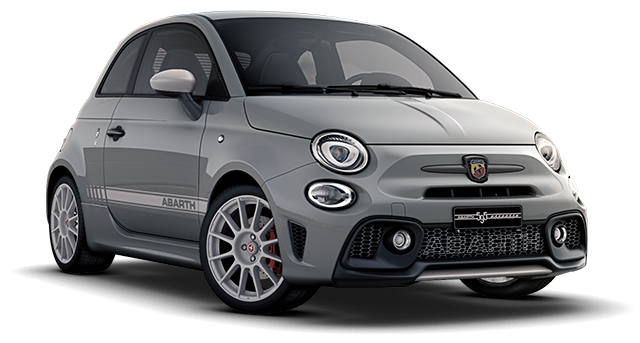 A reference to Abarth tradition, evolved in design and technology. The metal, fixed hard top of the forerunner is replaced with a removable version, made of noble materials.